I remember the first time I started really thinking in terms of DECADES. 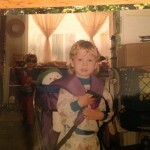 Our elder son was about ten. Off the cuff, I mentioned something that had happened about 15 years before. Today I am thinking in terms of decades of commitment. My darling Tom and I have officially been a couple for longer than we were not. This particular threshold feels almost as momentous as that first “double-digit” birthday, or the realization that once high school is over, childhood is also gone. Are we really old? Perspective suggests we would have been considered on the cusp of old age in our grandparents’ generation. Today, however, people twenty years our senior are running marathons, picking up new instruments, learning new languages, and conquering mountains. We aren’t old yet, but I have to say I am really looking forward to growing old together. 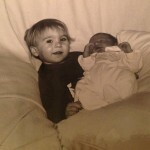 Today is the 21st anniversary of the day our older son became a big brother. He was so proud of his little brother! When he was about 3 or 4, he LOVED that Snowman toy! Grant and his Snowman toy, off on an adventure in the back yard. 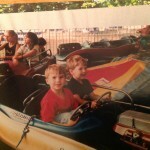 Thurston County Fair, possibly 2001? I am so proud of my sons. 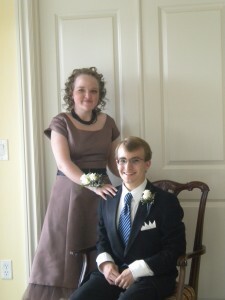 And today, I am beyond-proud to be the parent of two full-fledged (in the eyes of the law) adults! 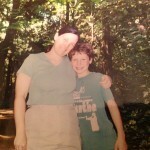 And one more, of a proud mama and her son, probably taken in 2002. Walking at the Nisqually Delta, a favorite jaunt in those days. Did you know that before you were here, another structure inhabited the land? In the first Act of this land’s existence, there was a deep, varied garden, filled with nut trees and timber trees, with berries, with vines and flowers, and with creatures that depended on them all. 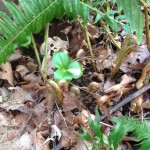 Then silence while the land that had been cleared regrew; Life being such that fire and harvesting do not dissuade the green mantle. The Second Act began as a new millenium approached. For nearly 15 years, a home lived here. A smaller structure, true, but one filled with hope and happiness. And, yes, its share of sorrow and worry. But one filled with life, with the details and baggage of living. The cluttered countertops (no surface was safe!). The muddy steps, both in front and behind. An entrance door with dents, scuffs and scratches from feet, boots, paws and who-knows-what attempting to get in. Or out. The front looked out over a rapidly establishing garden with fruit trees and roses, bulbs of various lineages, lilacs and lavenders. The rear entrances referenced but did not invite the back yard, wilder and less-tamed than the front garden (but no less beautiful and in my mind more radiant). I walked the gardens daily, front and back, when I could. When I couldn’t I watched from the windows as birds and beasts visited and moved on. I relished the sounds of my children playing, talking and even arguing. Young life, finding its way into the maturity of young adulthood. Some times more gracefully than others. Life ebbed and flowed in the other house, fortunes waxed and waned, time passed. We had to leave the garden and the back yard. There was no shelter in between, nor even shelter at a distance, for a while. But life must needs proceed, and so we planned and worked and toiled and waited until one day we could move back to the land. Back to the land and into a new structure. A larger, more substantial dwelling, in keeping with our larger, more substantial, mature incomes. A home with a front entrance like a warm embrace, and back doors that beckon to those inside to explore the wonders of the wild unknown. You are emptier and harder to fill than we expected. And here is the secret that I will share, the hope and the dream that I have for you. Where once I wrote to my sons about staying grounded — being at one with the home-as-place; now I write to you, my home-that-is-becoming. For it is not the structure that matters, nor even the particular shape and content of the landscape that surrounds the structure. What matters is that love lives there. The dream is that one day, some day (not yet, for I am too young in my maturity), eventually, this house will shelter not only two people who love, but those they love. The children of the next generation. The hopes and dreams of their own parents. A dwelling, however rich and grand, does not become a home until that hope of hospitality permeates every nook and cranny, and, messily and happily, invites the clutter and chaos of friendship and family. This space between the walls and under the roof, this is a holding zone. 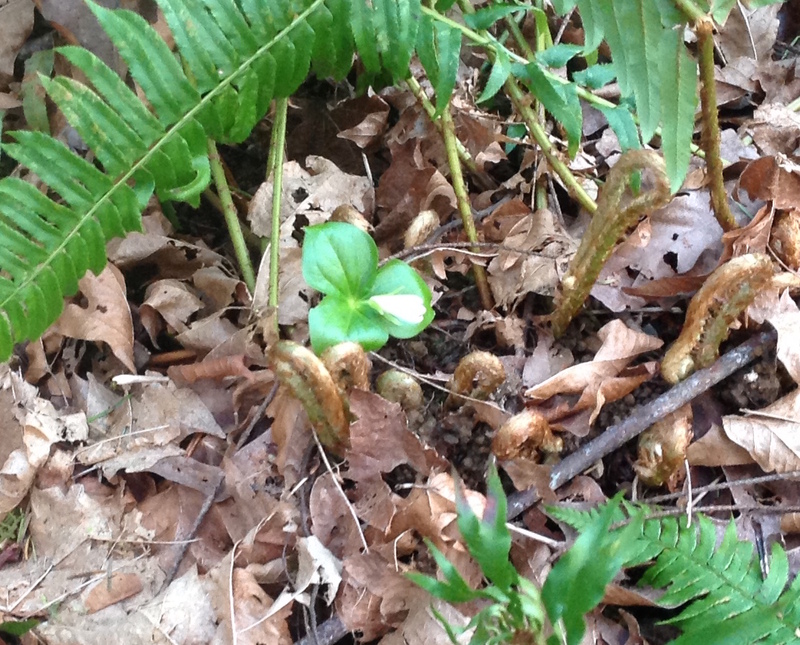 A moment in a larger world that waits to welcome life. The things inside are props for the play that is ongoing. Act III is about to begin. This is my boy, and his girl. Dapper and Elegant. What a cute couple they have made for nearly 4 years. So proud of these young adults! I have been remiss in my “mama” mode for quite some time. I reported my own finishing, but neglected to trumpet my elder’s significant events this month! A lovely young woman - friends since first grade! 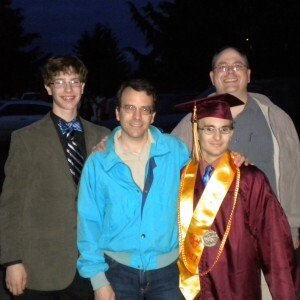 And here is a pic of him a few days later, with his brother, father and “Uncle” (our best friend) at his high school graduation. It’s a little blurry due to camera shake (of course I was a little emotional!). The new graduate hopes to continue classes at the community college next year, and is also looking for work (bad job climate though) and helping around our home and his grandparents’ in the meantime. For the summer, he is in “Anything Goes” (auditioned for a part today), “Honk” and “Pirates of Penzance” — the latter two begin rehearsals in a week or two. It will be a busy, interesting summer for both boys. And, I suspect, for us! Today, FOUR Babblers showed up in Olympia: Bugsaw, Jillibus, jmcnrick, and Pinikula. We had a great time, and plotted our work for tomorrow. 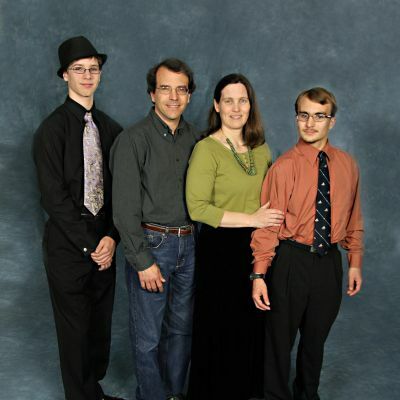 We had this family group photo done at an end-of-school promotion ceremony. I am so pleased to have a nice picture of us all — and me actually wearing nice clothes! I am so proud of my sons, some days I could just burst! The photographer works mostly in the Olympia area, and has a beautiful website with some of her work on display. I found the camera! Here are a few pics of the last month, beginning with supper in Portland with my grandfather and his partner, and a family friend. Oh yes, Tom and the boys were there too! and another video, as Tom snags stidkid#2’s gift from the stidgrands… metroid prime; and lounging pants for the boys. It starts out sideways, but I figured it out eventually! Of course, more happened than supper, concerts and gifts… but these were definitely highlights. Missing are images of stidkid #1’s birthday, the amazing late autumn foliage and cute dog-turtle-bird pics. Oh well, always room for improvement! My Irish heritage is a big part of my identity (So is the German, Dutch and then less and less French, Welsh, English, Scots…). So Fáilte (which means Welcome) to you! And a special greeting to my friend who celebrates his “saint’s day” every year in style. May the skies be fair, the company fine and the food free. Sláinte! And just because I needed to know where the accent went on that last word, here’s a website with many greetings and toasts.